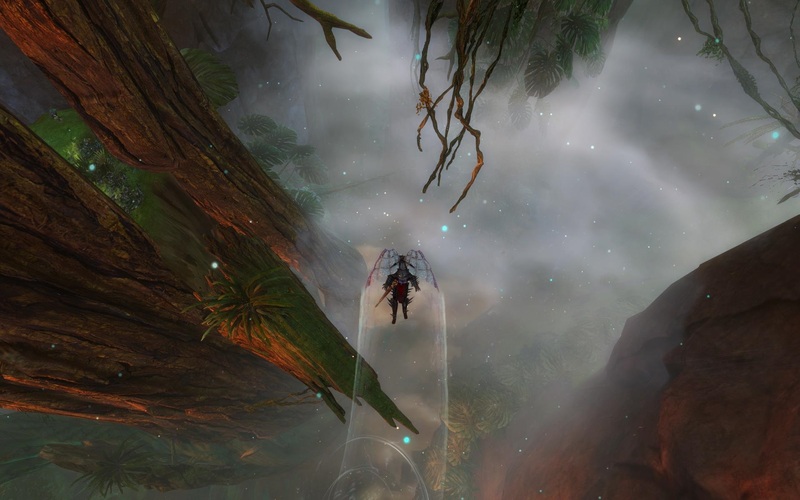 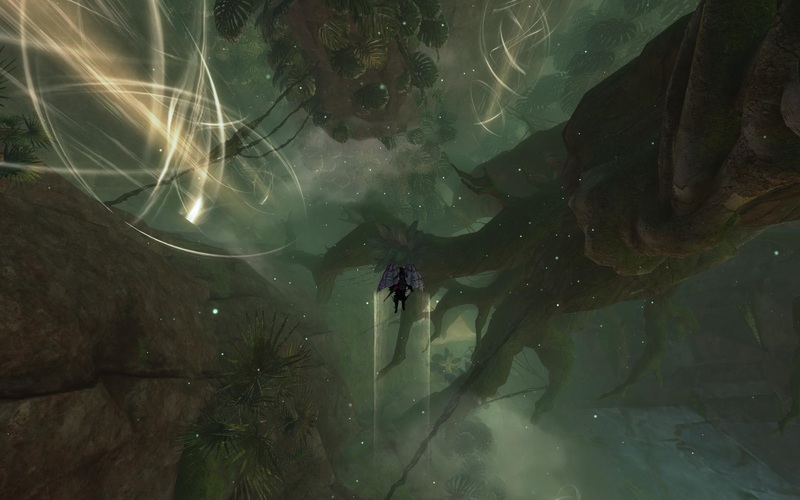 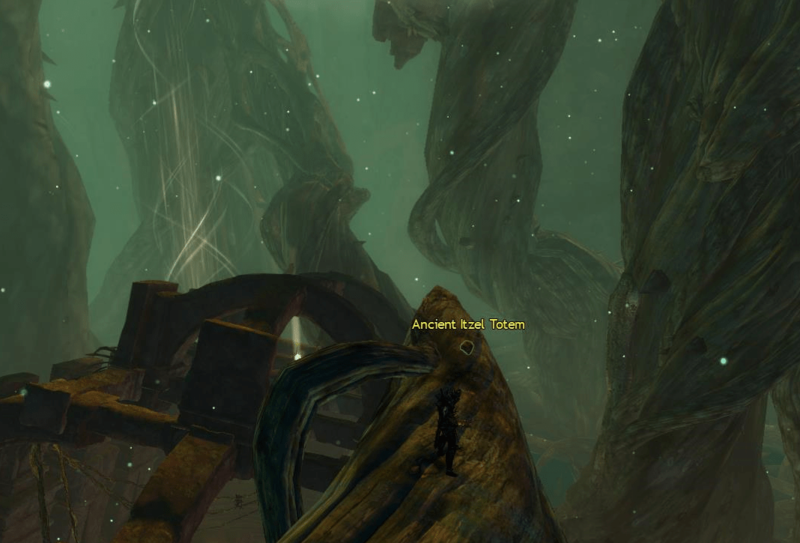 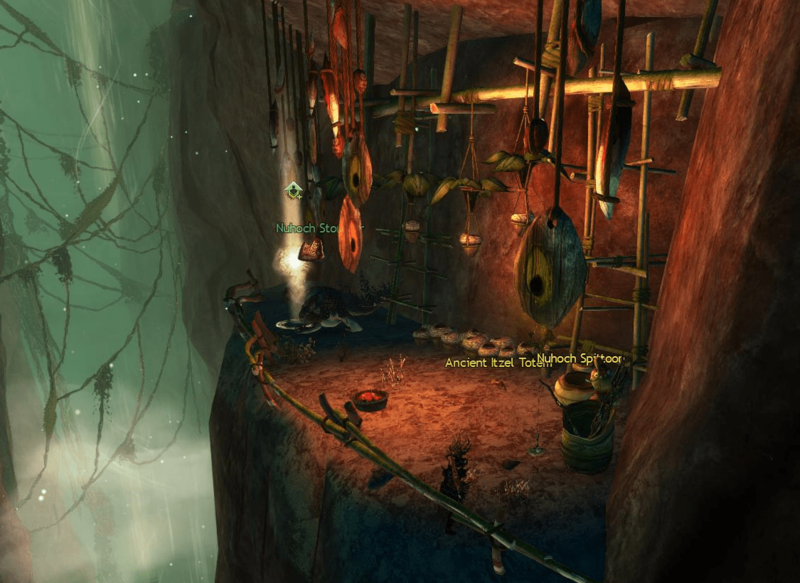 Most of the Totems are located in the lower layer of Verdant Brink and require basic gliding to reach them. 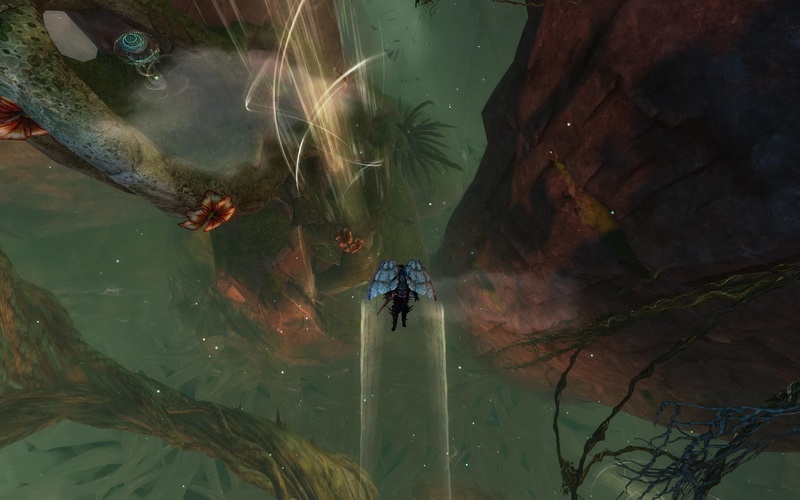 Head North-East from the Treacherous Path Waypoint and glide off the side down into the ravine. 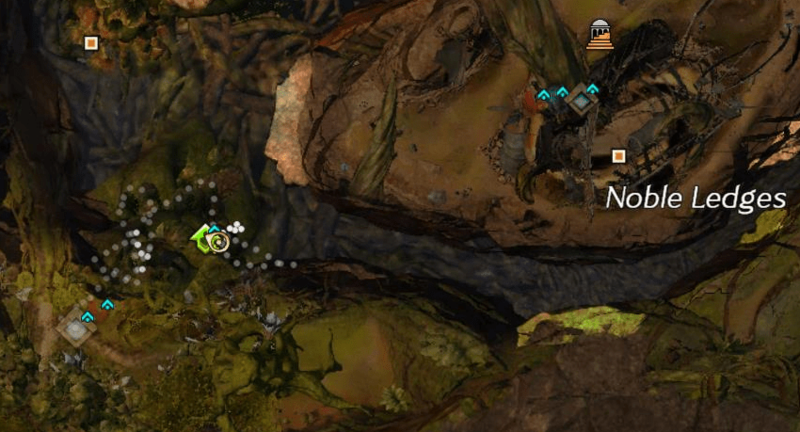 The Totem is on a ledge about half way down next to an updraft and directly below the Hero Challenge marker. 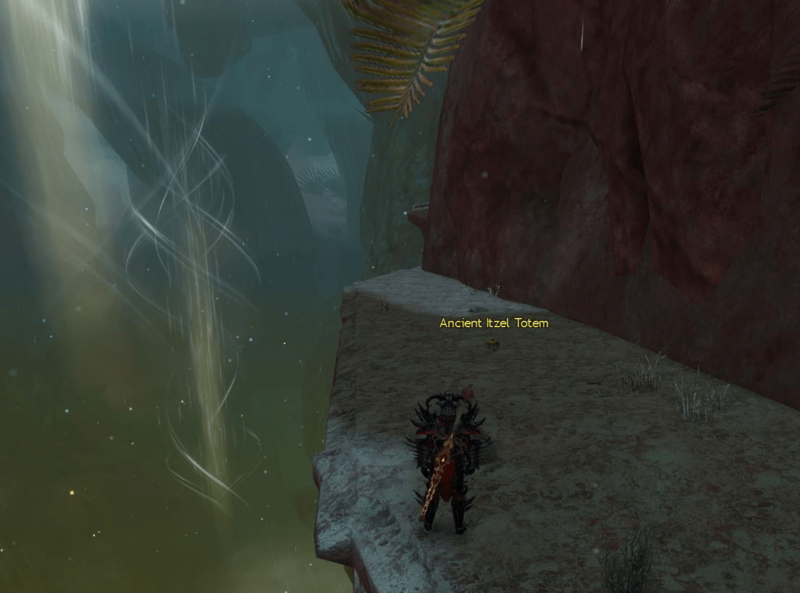 The next Totem is located on a stone ledge near the bottom of the cliff face, across from the Guild Hall entrance in the North-West region of the map. 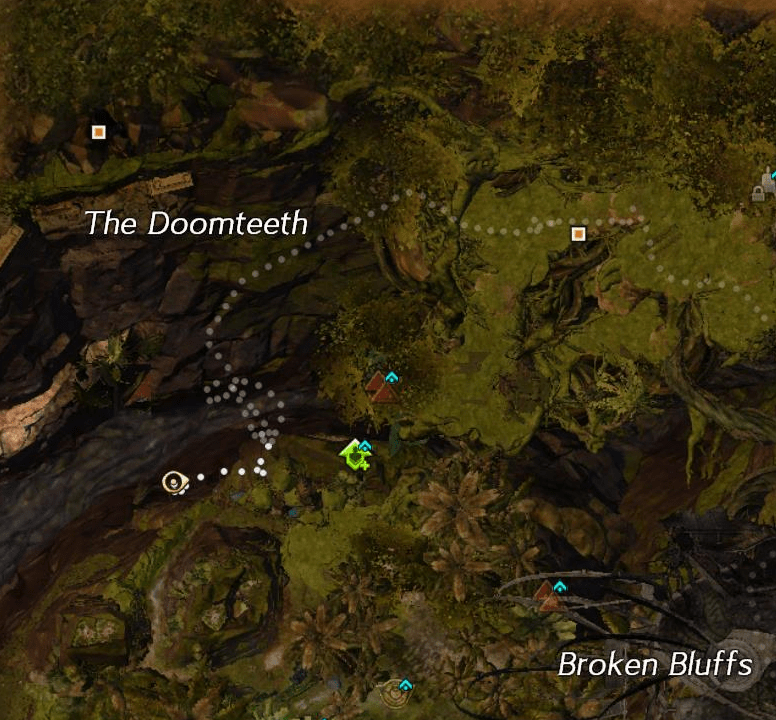 It is directly South of the Doomteeth area. 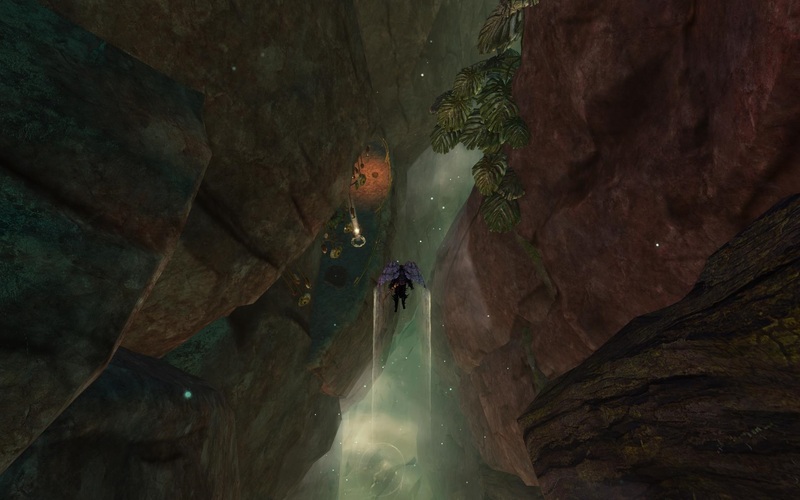 If you do not have access to the Guild Hall you can come in from the Broken Bluffs or Blighted Depths areas and then simply glide down to the ledge. 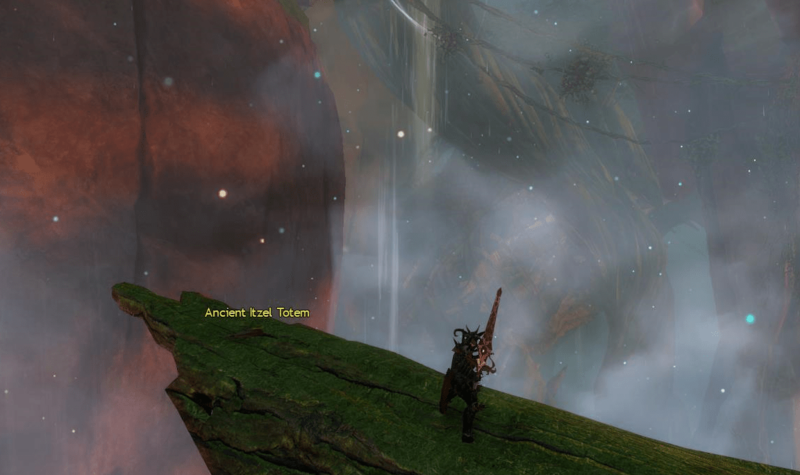 The closest waypoint is Mellaggan’s Valor. 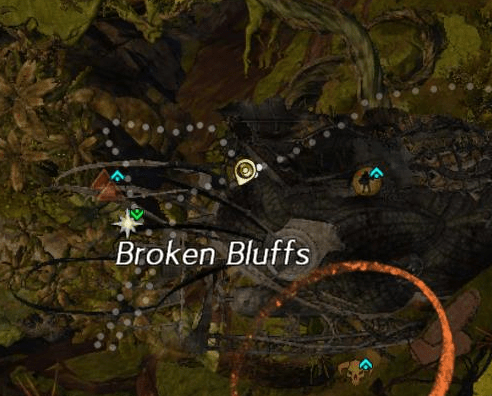 Starting from Mellaggan’s Valor Waypoint, head west to the Broken Bluffs area. 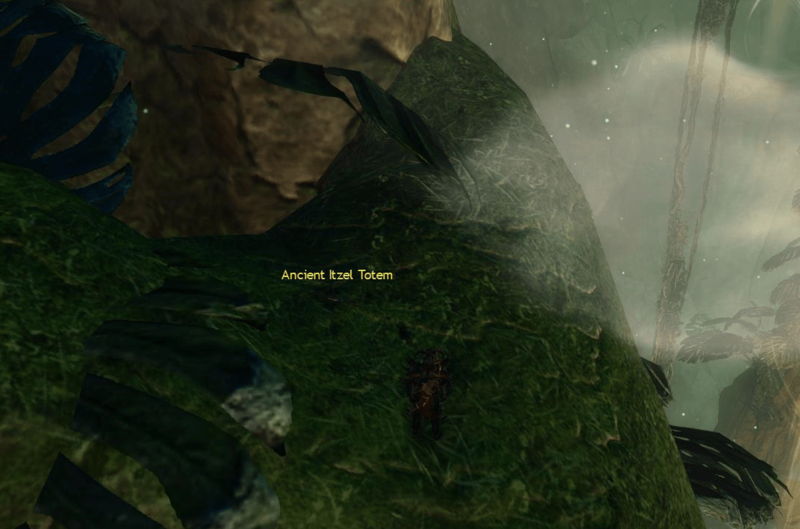 The Totem is located on a ledge of mushrooms sticking out from the side of the cliff wall next to an updraft. 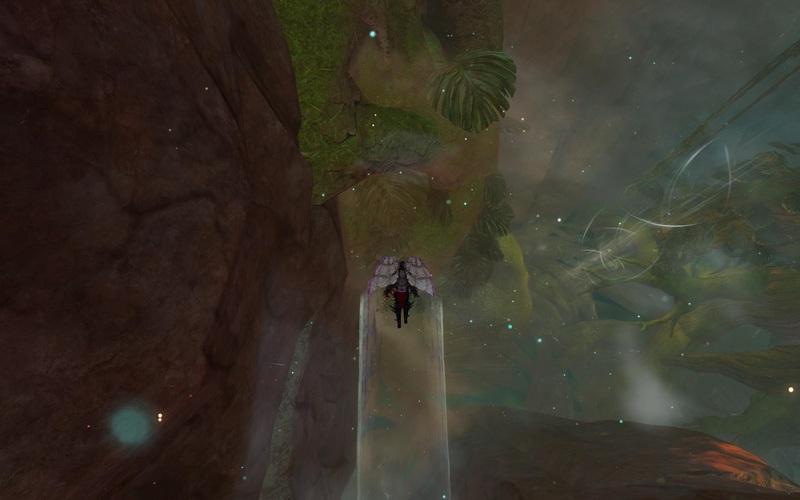 The next Totem is located in the Coztic Grounds area at the end of a branch that is jutting out from the large hollow tree, which also contains a Hero Challenge. 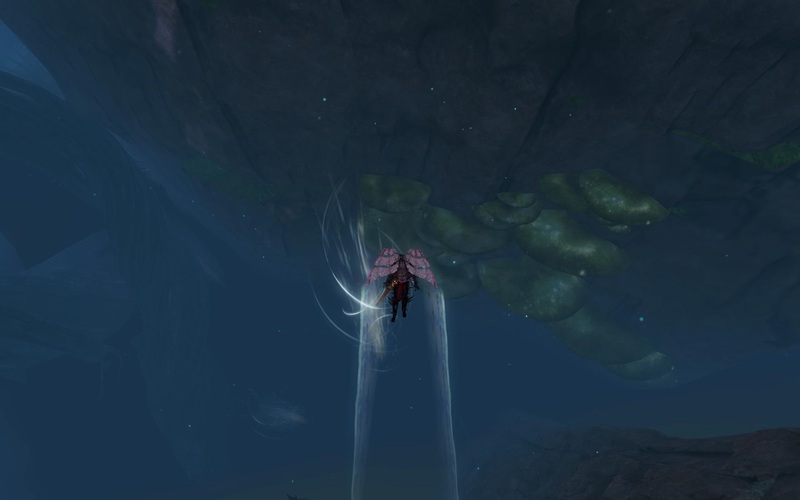 It can be reached by heading South from Totem #3 and then gliding down to the branch. 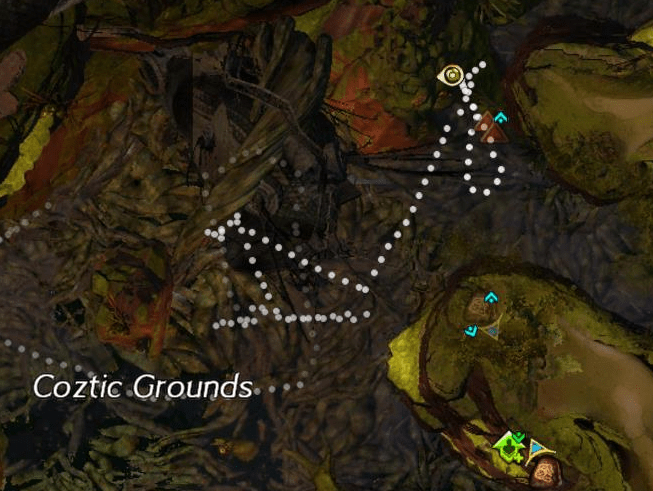 This Totem is also located in the Coztic Grounds region, but further East. 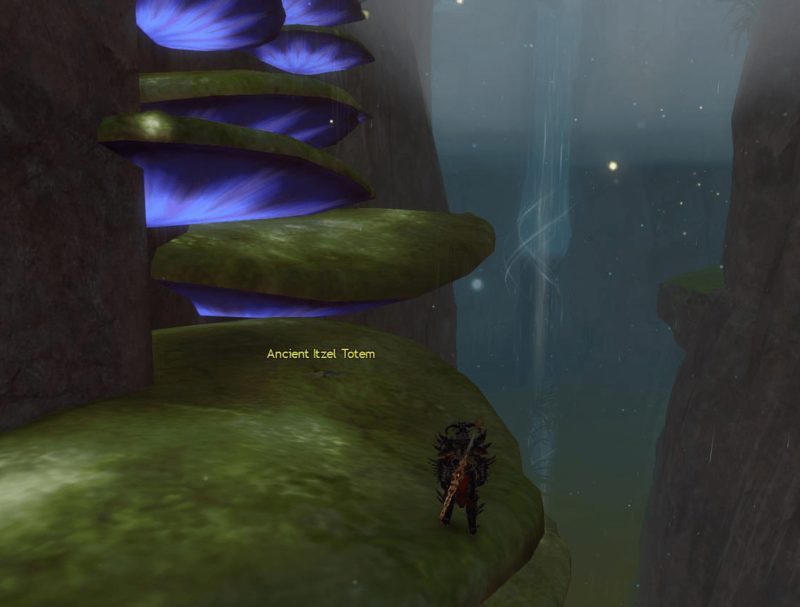 You can reach it by either heading South from Mellaggan’s Valor Waypoint, or by heading North-East from the last Totem. 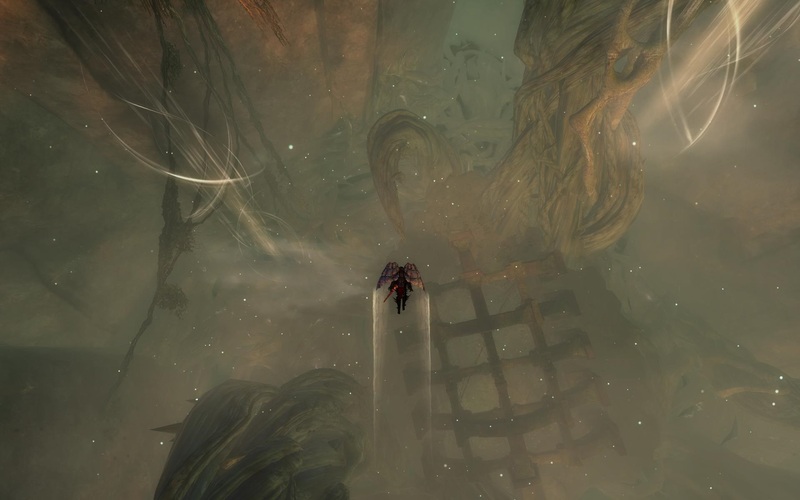 It is near the bottom of the crevasse, sitting on a small platform that is entangled with vines. 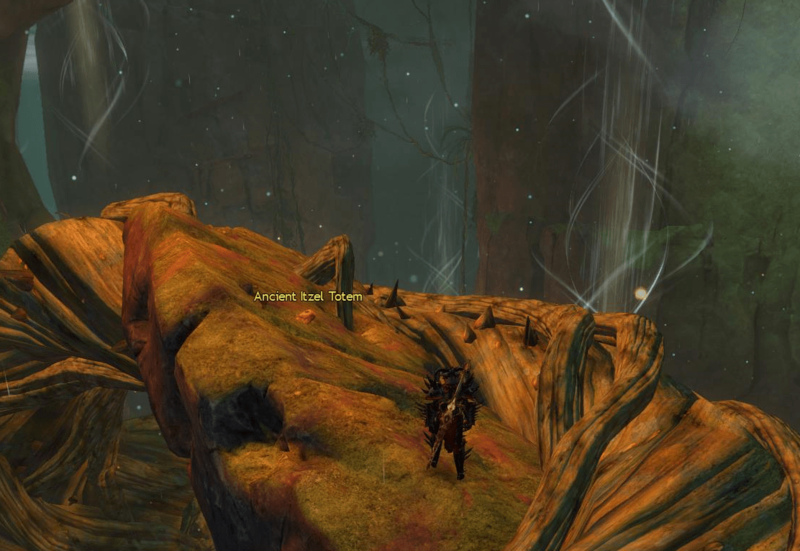 Heading North-East from the last Totem, the next Totem can be found hidden inside the root system near the bottom of a large tree. 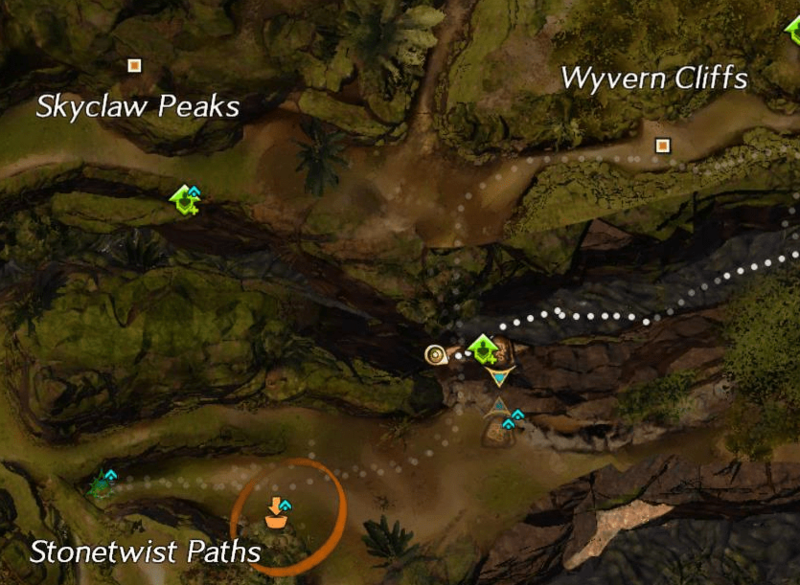 It is almost directly below a nearby Vista point on the map. 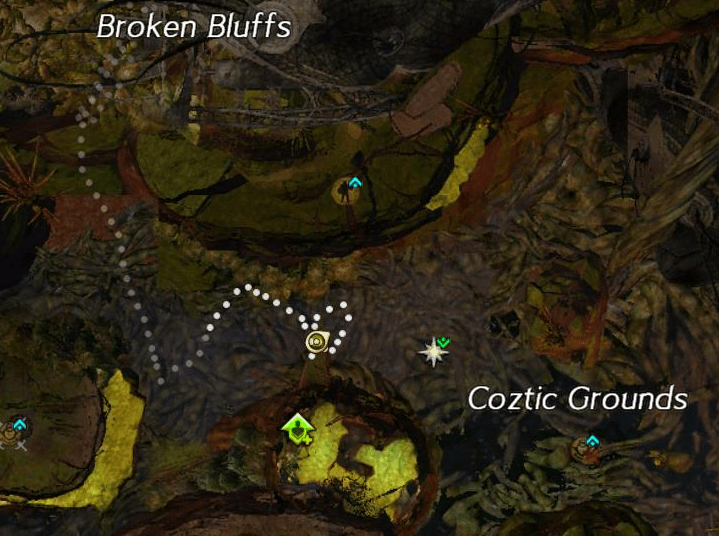 This next Totem is located directly East of Totem #6. 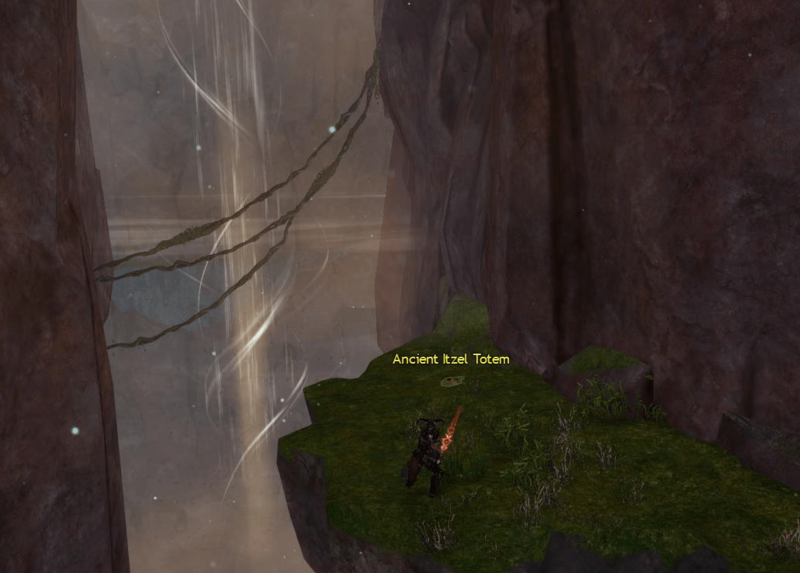 It is sitting on a ledge about halfway down the gorge to the West of Pact Encampment Waypoint. 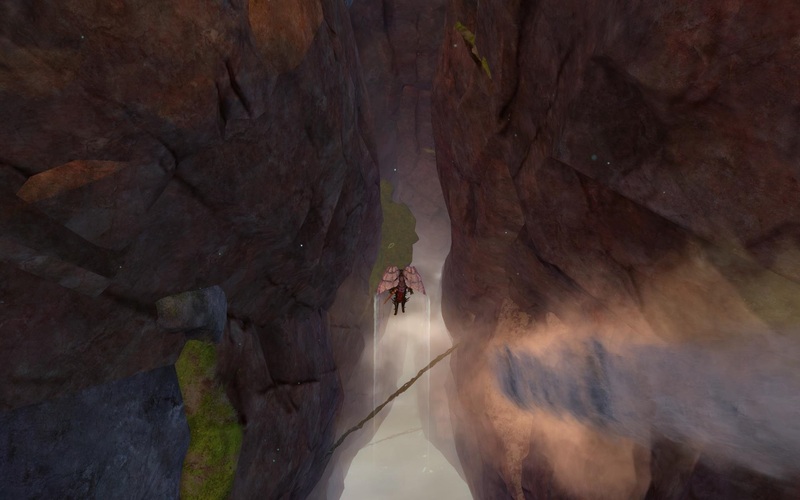 You’ll see an updraft at the entrance to the gorge. 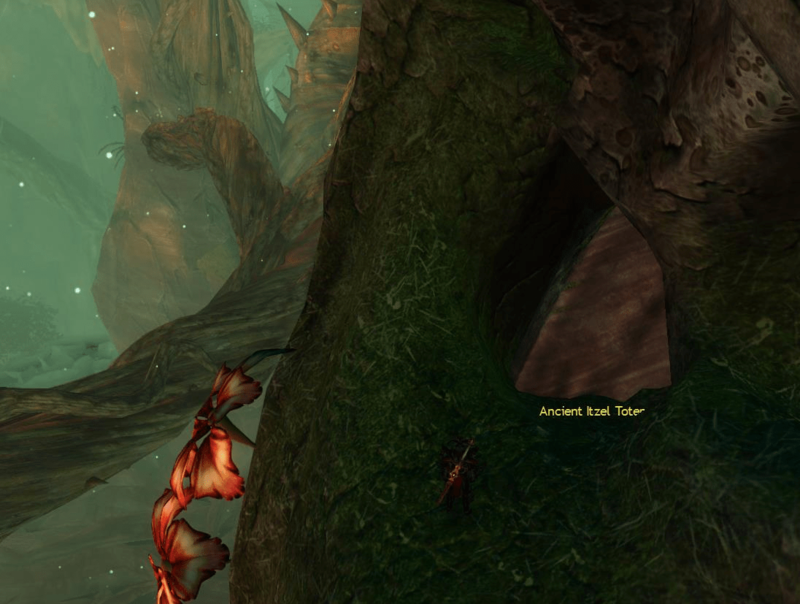 This Totem is located next to a Hero Challenge in the crevasse just South of Wyvern Cliffs. 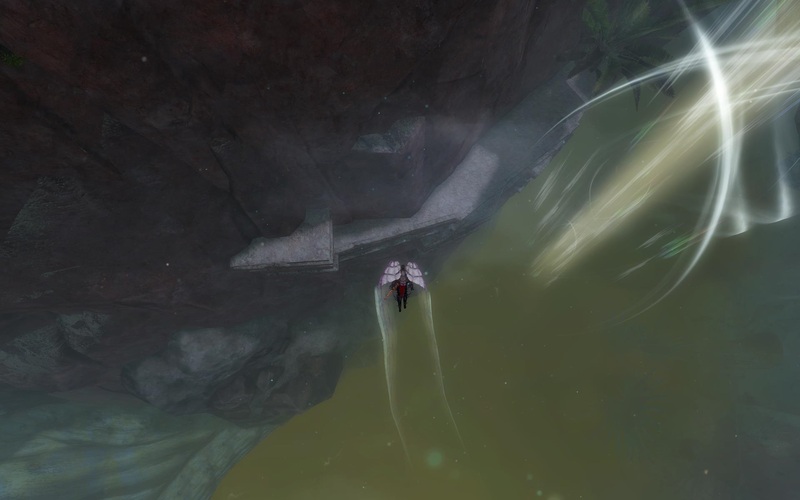 Glide down into the crevasse and you will see a small ledge with lights and a Nuhoch Stomper. 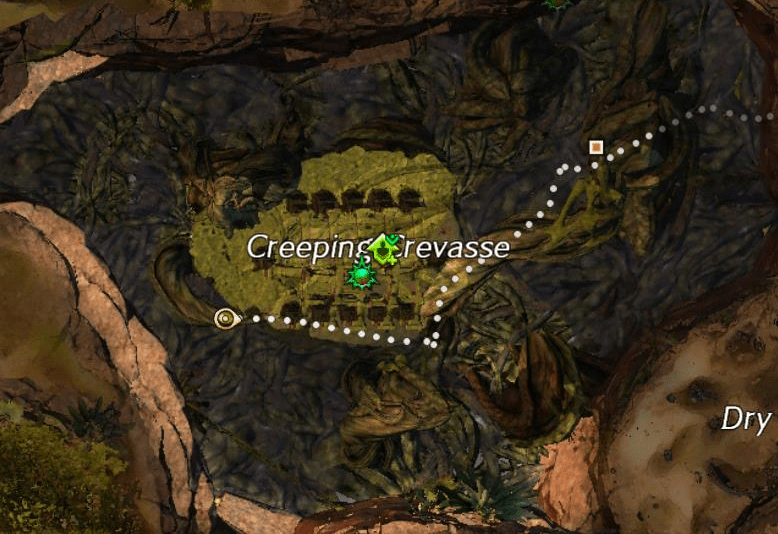 Starting from the Shipwreck Waypoint, head West and glide down into the Creeping Crevasse area. 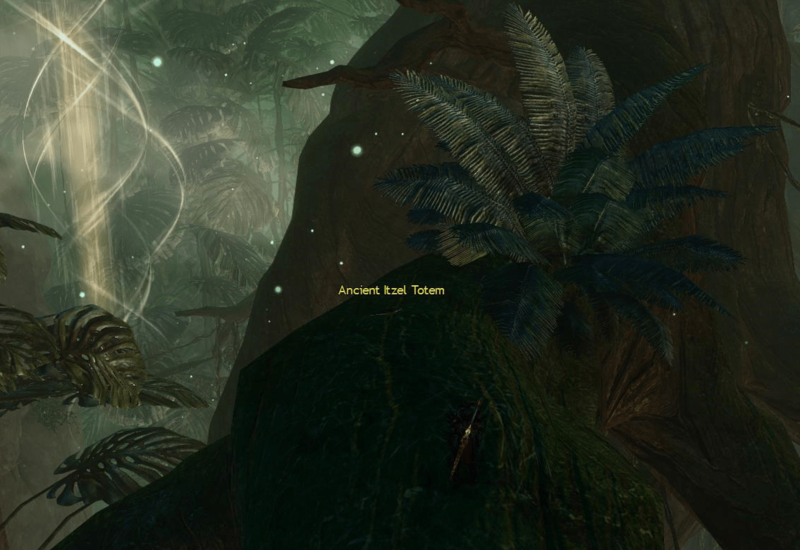 The Totem is located on a vine sticking out near the stone structure at the bottom of the crevasse. 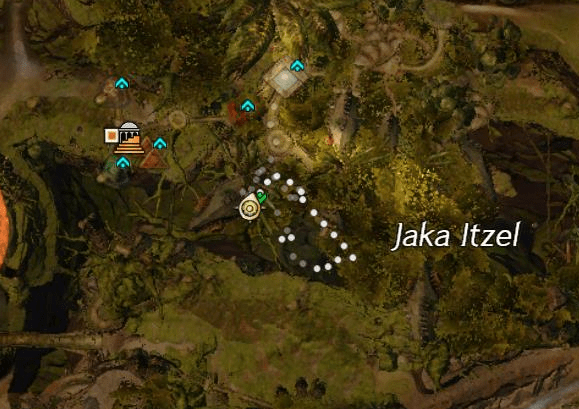 The final Totem can be found on a tree root just South of the Jaka Itzel Waypoint. 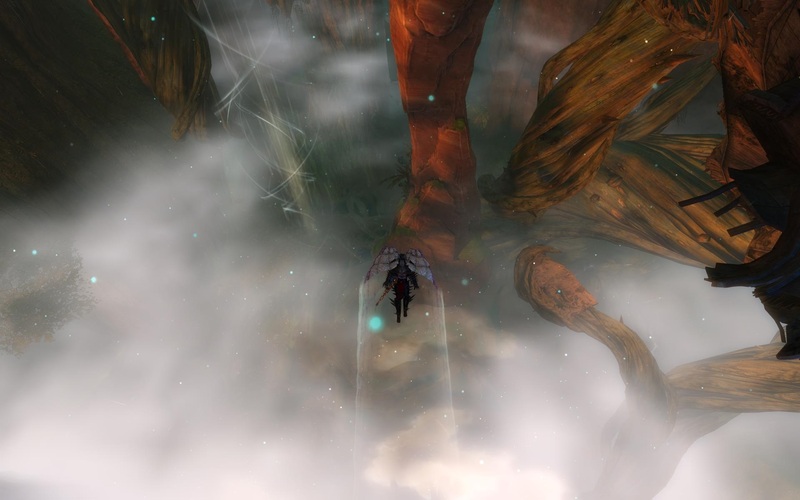 Glide down past the updrafts and you’ll see it sitting on on the root near a large plant about halfway down. 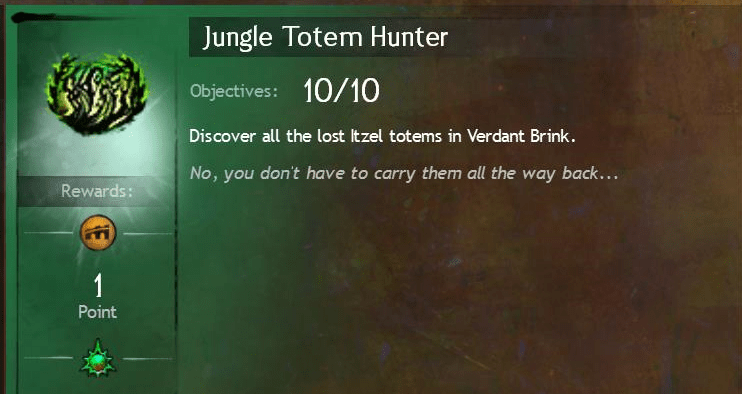 Successfully complete the Jungle Totem Hunter achievement and you’ll receive an achievement point and a mastery point. 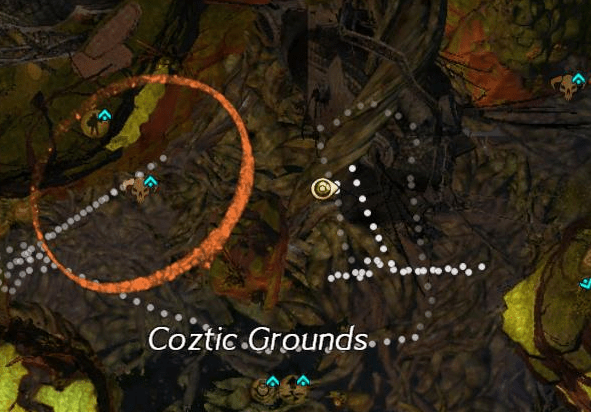 Thnx for the guide! 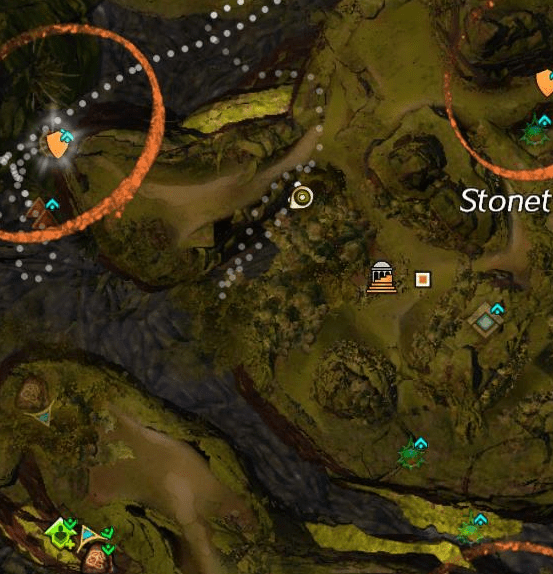 But besides the original screenshot with the squars on the map, the other screenshot are harder too match what you see on your screen than the hole collection itself.